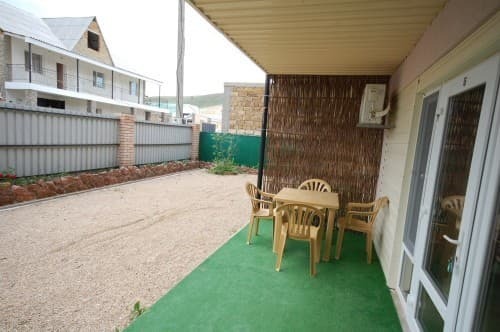 Mini-hotel "Fiesta" is located in the resort town of Sudak, 700 meters from the sea. 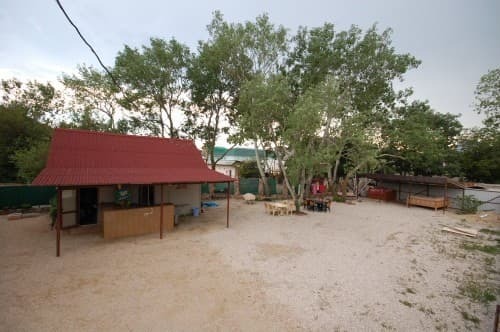 The mini-hotel is a 2-storey building with comfortable rooms. 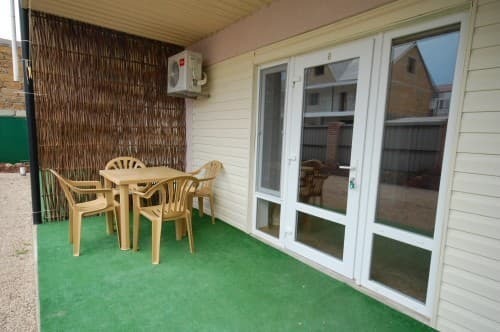 Each room has a cozy veranda where clients will enjoy spending their summer evenings. 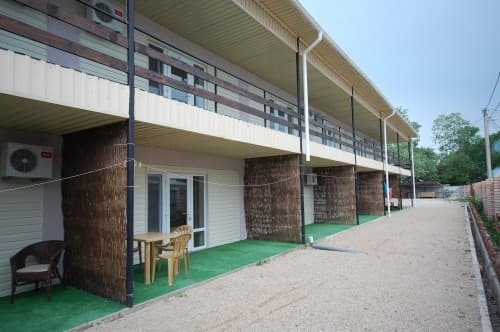 On the territory of the mini-hotel "Fiesta" for guests there is a summer area, a gazebo, parking and laundry. Free Wi-Fi is also available. 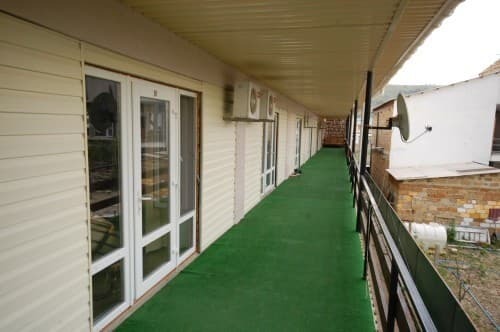 In 500 m from the mini-hotel there is one of the best water parks in the Crimea, a lot of various entertainment centers, nightclubs and restaurants, a branch of the bank, billiards and bowling, a hairdresser and a massage parlor. On the beaches guests will find souvenir shops and shops. Description of the room: Cozy 1-room suite with everything you need for a comfortable stay. 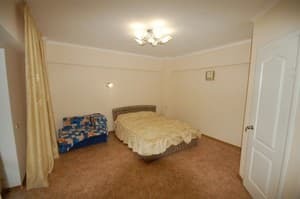 Description of the room: Cozy 1-room suite with all the necessary attributes for a comfortable stay. 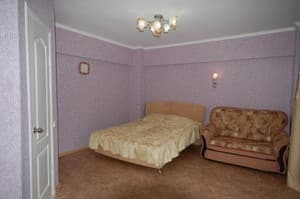 The mini-hotel "Fiesta" is located in the resort town of Sudak, in the area of ​​Alchak. Distance to the sea is 700 m. In 500 m from the mini-hotel there is one of the best water parks in the Crimea.